← Fashion Revolution Day – what is it all about? According to WRAP, the organisation behind Love Food Hate Waste which helps consumers reduce food waste, around 350,000 tonnes of used clothing (£140 million worth) goes to landfill in the UK every year. The average UK household owns around £4,000 worth of clothes – and around 30% of clothing in wardrobes has not been worn for at least a year. We can reduce such waste by choosing clothing designed to last longer (say goodbye to PRIMARK! 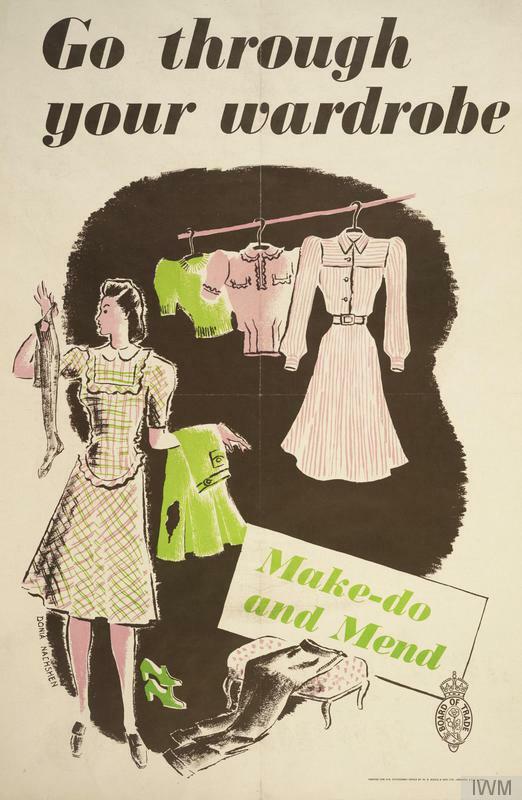 ), buying second-hand clothes, using energy-efficient laundry methods, donating for resale or recycling, swapping as well as repairing, altering and remaking/upcycling. This Thursday I will be running a free clothes upcycling workshop during the Designers and Makers Night Market at The Shop Revolution cafe in Sydenham, South East London at 6.30pm. 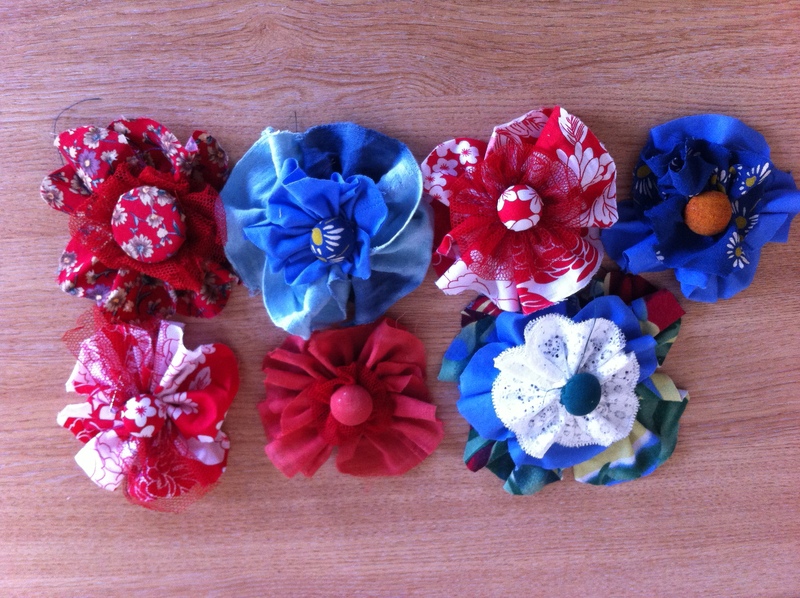 We will be upcycling unwanted clothes into covered buttons and vintage-looking fabric flowers (like on the photo below) so bring any clothes or bits of fabric you no longer need. The Designers and Makers Night Market is a quarterly evening market showcasing South East London’s most talented Designers + Makers, featuring an eclectic mix of Illustration + print, jewellery, homewares and more. All the traders are local and produce original, hand-made products. Download WRAP’s ground breaking “Valuing Our Clothes’ report that provides the first big picture look at the financial and environmental impacts of clothing. This entry was posted in Uncategorized and tagged unwanted clothes. Bookmark the permalink.